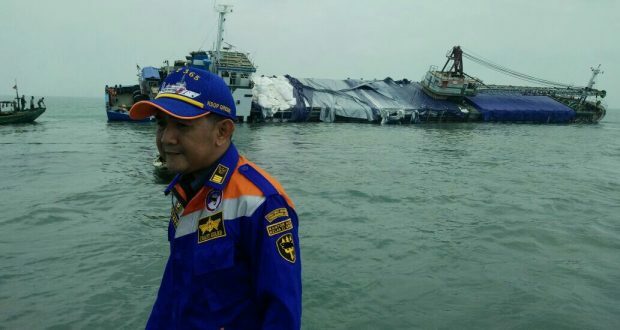 The 120 meter long, 3716 dwt ro-ro passenger ferry Wihan Sejahtera capsized and sank in Lamong Bay just outside the terminal at Surabaya, Indonesia. 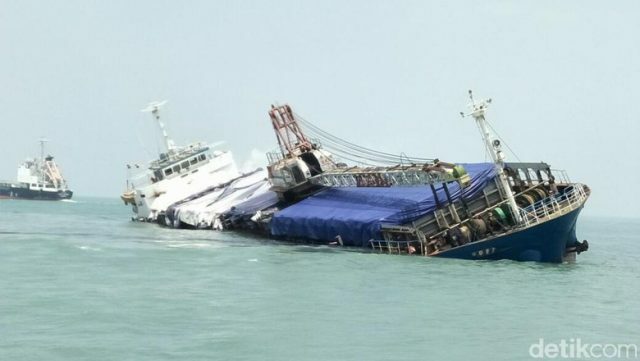 The Wihan Sejahtera had departed with over 200 passengers and crew bound for Bajo, East Nusa Tenggara when it struck some submerged object. 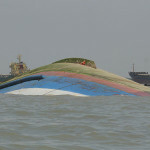 The ferry had suffered some hull damage with water ingress and had a developed a list to starboard. 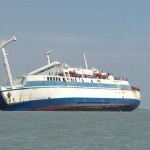 The Wihan Sejahtera decided to turn back and head back to port. 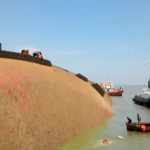 As the ferry headed back, the list increased as the cargo of vehicles shifted. 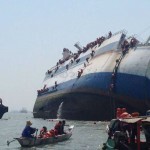 Passengers and crew climbed over the listing hull and jumped into the sea while others clung to the port hull awaiting rescue. 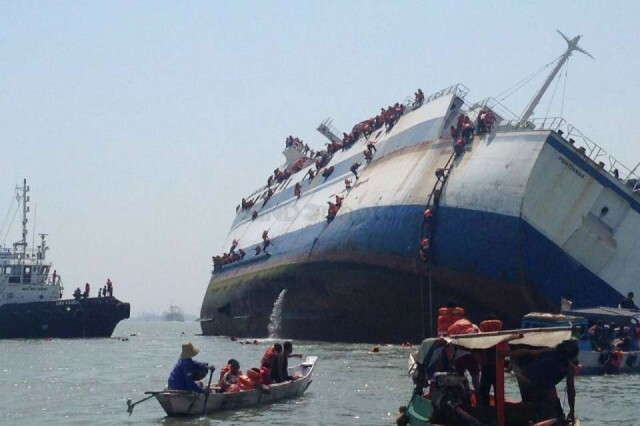 Reports state some 163 passengers and 29 crew were rescued as nearby fishing vessels, patrol boats and tugs arrived quickly on scene. 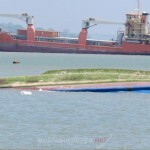 Over 25 persons were taken to hospital with several having severe injuries. 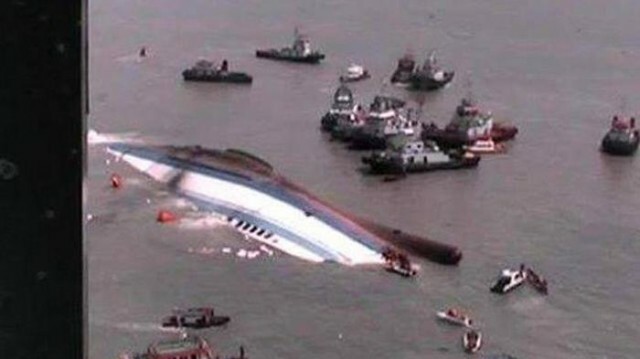 The wihan Sejahtera eventually rolled over and sank in 16 meters of water. 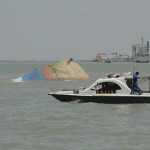 Authorities have continued search and rescue operations and will send divers into the overturn hull. 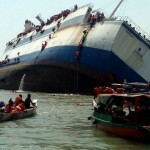 Reports state the vessel was overloaded as the official number on board was listed as 153 persons. 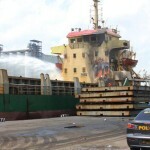 On January 24, the 55 meter long general cargo vessel Mentari Pratama caught fire while berthed in Surabaya, Indonesia. 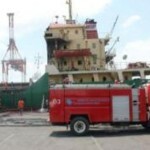 The vessel was docked at a repair yard when a welder’s gas cylinder exploded. Three men were injured and taken to hospital for burns. Local fire fighters were able to bring the resulting blaze under control an hour later. 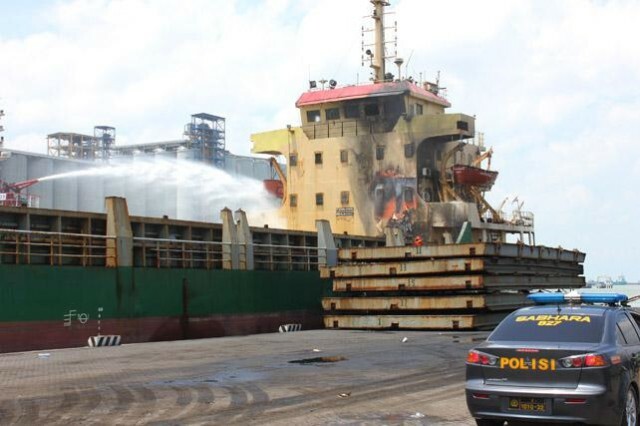 Part of the Mentari Pratama’s superstructure was scorched by the fire.